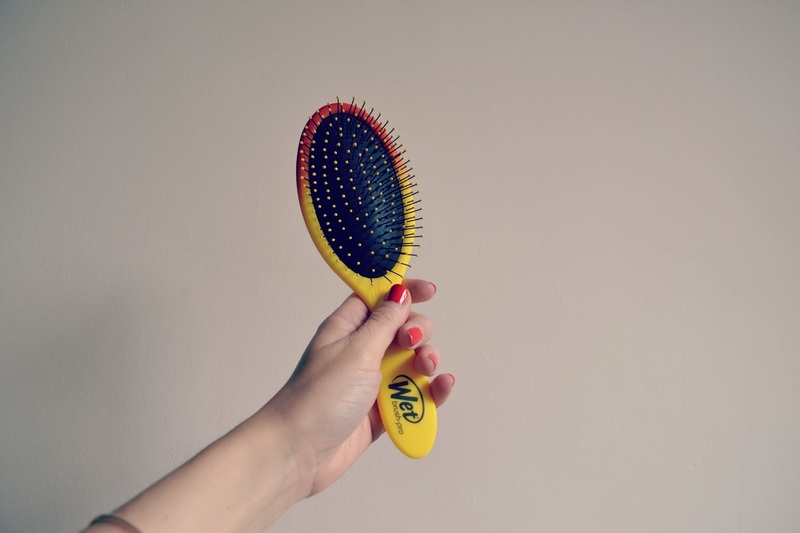 Wet brush is the USA's number 1 selling hairbrush brand, loved by models and Victoria's Secret Angels, so when I was offered the chance to try one, I couldn't wait! My hair is probably one of my signature style statements, and I've spent the last 6 years or so growing it out of a vile mullet cut to the long, single length style I wear today. Maybe I'll do a 'story of my hair' at some point in the future, there have been some dreadful styles over the years! My hair is very long now and it's also very thick, add to that the fact that it's ombre dyed with bleach and you can imagine the state it can get into. I have to sleep with it in a ponytail or I would wake up looking like Bon Jovi circa 1988 (after washing and before straightening it also takes on this guise!) and if it is windy I often wear a hat, not just because I love hats but also because they keep my mop under control. I love a few things about the Wet Brush. Firstly; it's ombre. Like my hair! 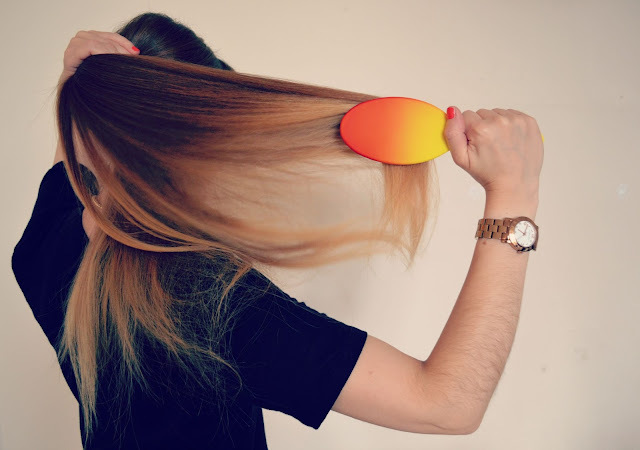 A small detail, but you use a hairbrush on the daily so why not make it nice to look at? 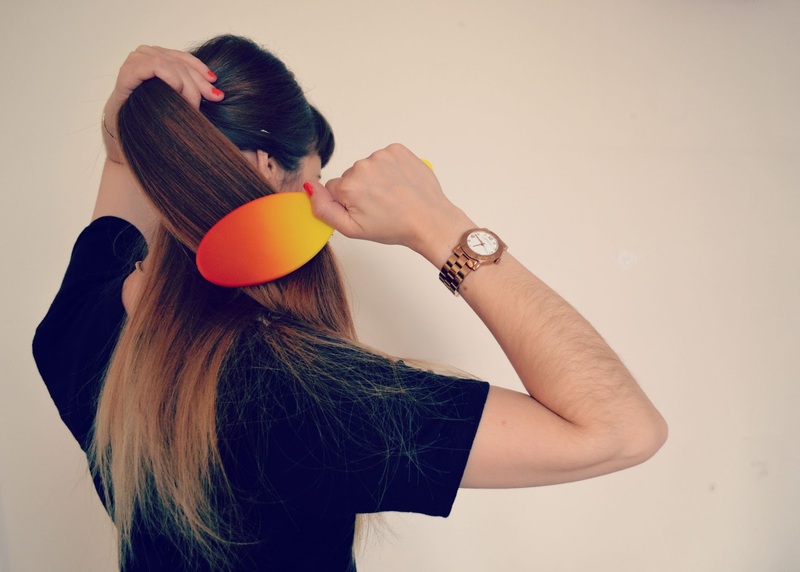 It's lightweight, and easier to hang on to than my Tangle Teezer thanks to the shaped handle. The beauty of this brush is that it can be used on wet or dry hair, and promises not to snag, snap or pull on the hair, which is something I really can't stand. 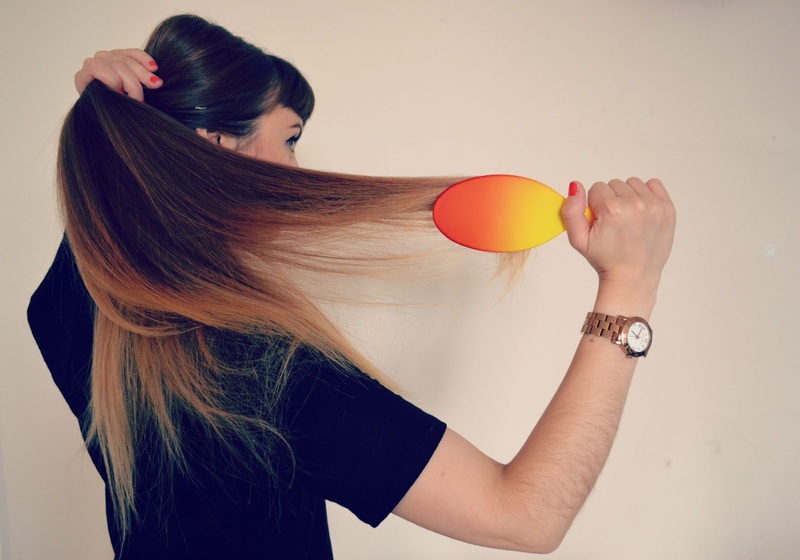 The intelliflex bristles are gentle but effective in detangling and they don't tear at the hair, meaning there are no split ends or hair loss. 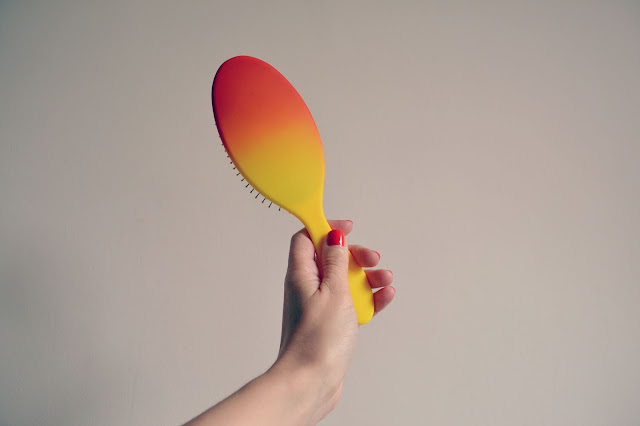 The brush also has softips on the end of the bristles, an ultra soft, double dipped bristle tip which won't fall off of scratch or irritate the scalp. Suitable for all hair types, you can see why this brush is loved by models and stylists. It made my hair really smooth after brushing with no static or frizziness and it's also great to use on wigs and extensions. It really is wonderful at detangling and with my unruly mane that is always something that is high on my hair-requirements list; I can't stand having knotty, matted hair and this tool helps me stay one step ahead of the tangles! The Wet Brush will be available at Boots for £11.99 from 2nd September. For more information, check out the website here.